In 1919 the American Legion was chartered by Congress as a patriotic veteran’s organization. In 1920 a group of local World War I veterans got together to work out the details of forming a new American Legion post in Riverside. Their efforts soon came into fruition when the members filed and requested a charter in 1920. 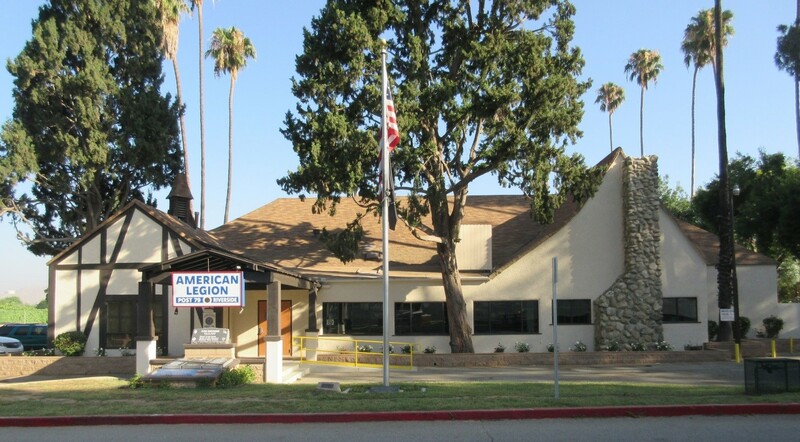 The American Legion, Riverside, California, Post 79 clubhouse was built in 1925 by land donated by then Mayor S.C. Evans. In 1930 the landscaping was planted by the Sons of the American Legion. After World War II the population of legionnaires grows to well over 500 members. In 1949 the American Legion Post 79 installed the plaque just across the street on the FMC built LVT (commonly referred to as the Water Buffalo). Dedicated to the Civilian War Workers of WWII. During the late 1950’s after the Korean War the membership grows to over one thousand. Since 1925 to present the American Legion Post 79 clubhouse has been a hub for veterans’ social and charitable events. For over 88 years the clubhouse has become one of the landmarks of Fairmount Park. To the wonderful patriotic citizens of the Riverside community. Join our Post as a Booster or Sponsor. (click Sponsor or Booster Button for details). 100% of the monies raised are given back to the community. Help us to continue sponsoring Scholarships for our children; give aid and assistance to our local needy Veterans, and their families. Help us to continue to support financially worthy community programs and projects.